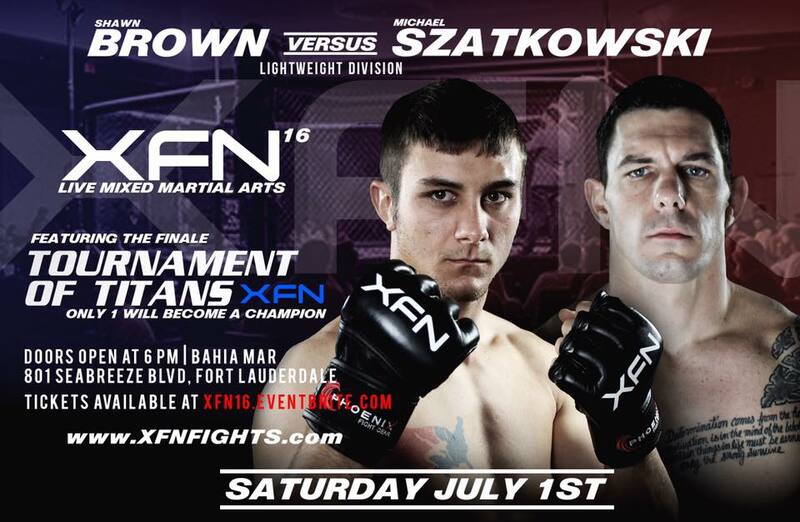 ﻿Xtreme Fighting Nation #10 will take place at Bahia Mar 801 Seabreeze Blvd Fort Lauderdale Florida. 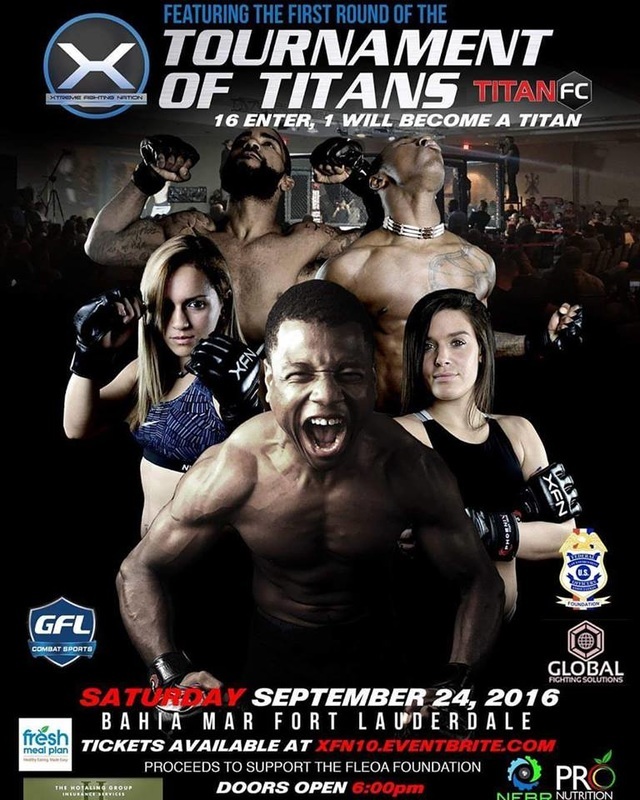 This event will take place on September 24, 2016. 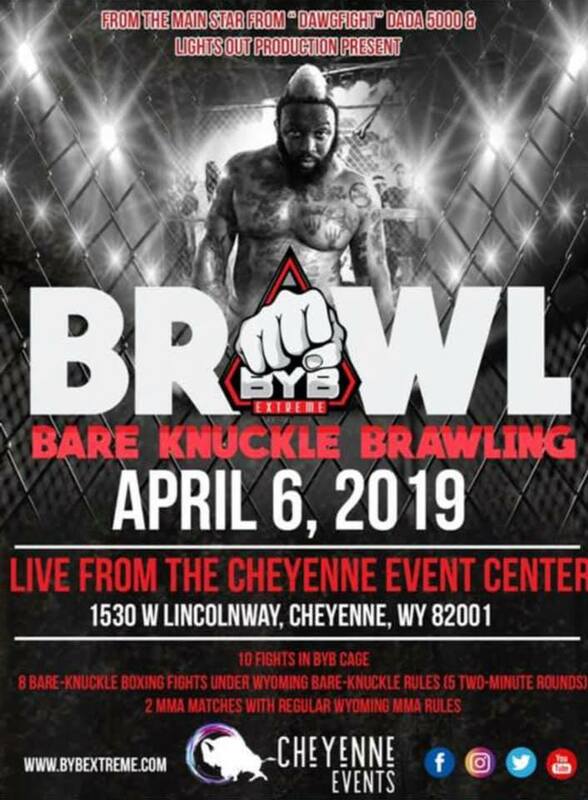 For tickets to this Amateur Mixed Martial Arts Event, please click link below. 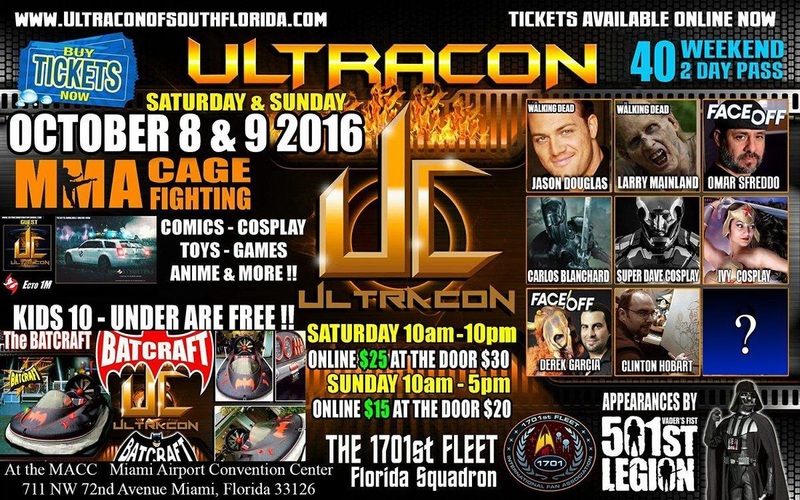 ﻿UFFC will take place at Miami Airport Convention Center 711 NW 72nd Avenue Miami Florida 33186. This event will take place on October 9, 2016. 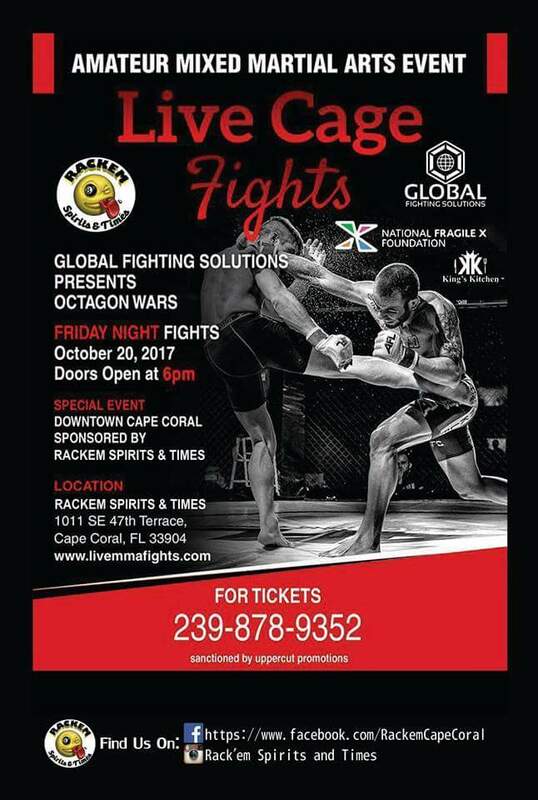 For tickets to this Amateur Mixed Martial Arts Event, please click link below. 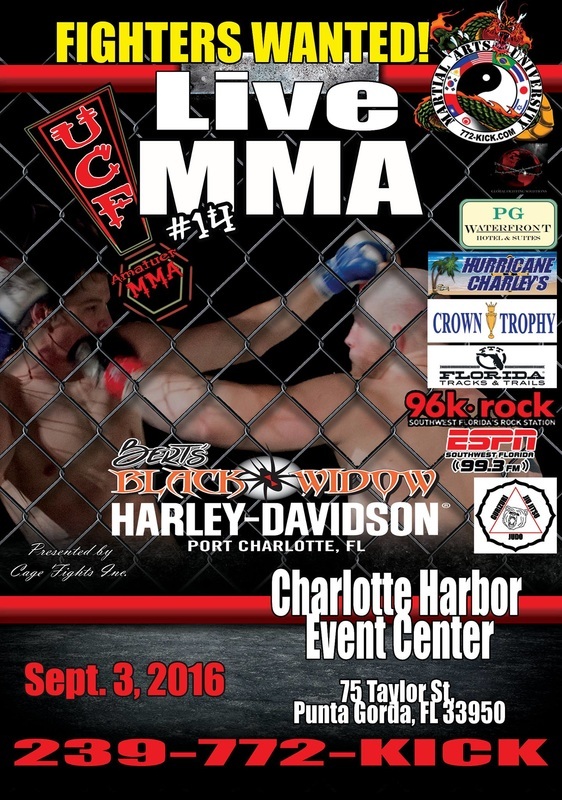 ﻿United Cage Fights #14 will take place at Charlotte Harbor Convention Center 75 Taylor Street Punta Gorda Florida This event will take place on September 3, 2016. 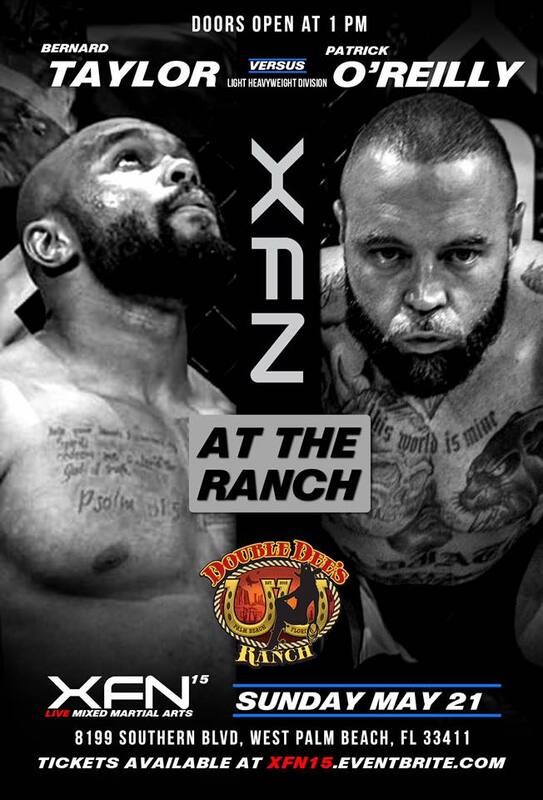 For tickets to this Amateur Mixed Martial Arts Event, please click link below. 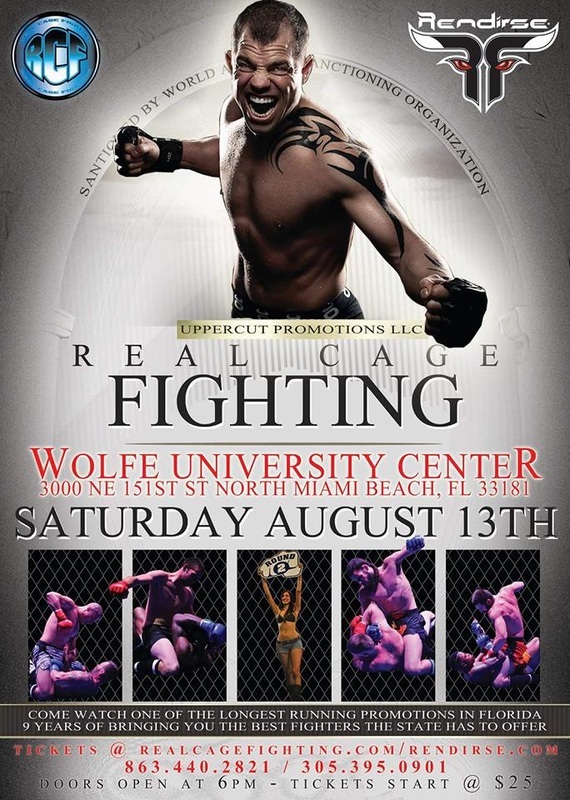 ﻿Uppercut Promotions will take place at Wolfe University Center 3000 NE 151st st North Miami Beach, FL. 33181. 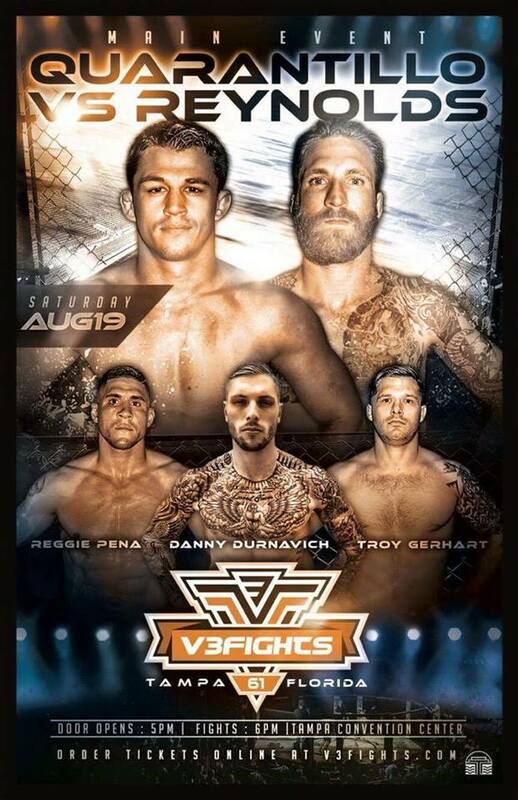 This event will take place on August 13, 2016. 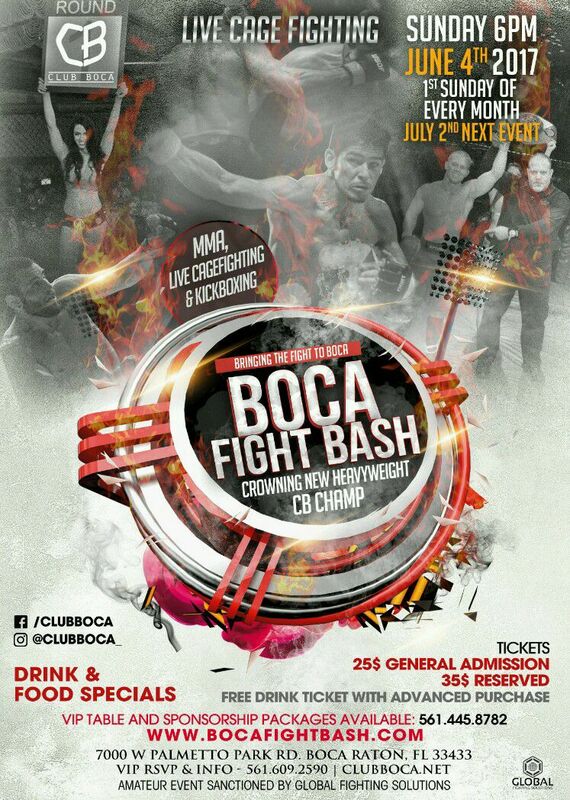 For tickets for this Amateur Mixed Martial Arts event, please click the link. 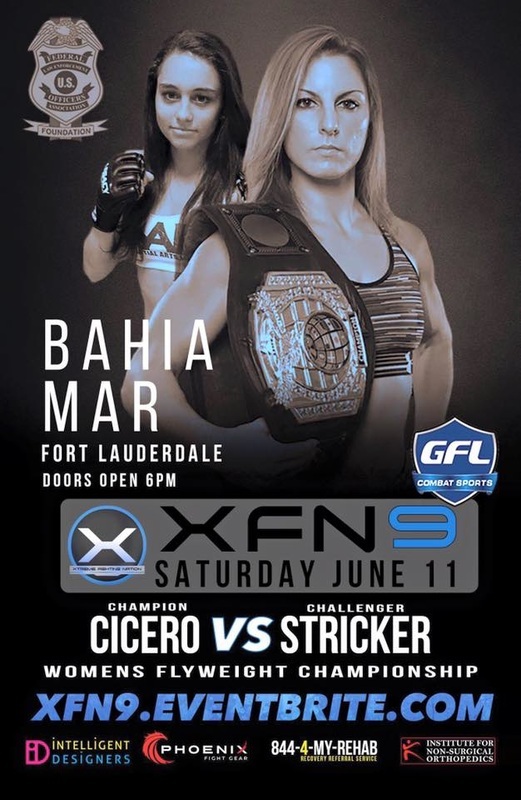 Xtreme Fighting Nation 9 will take place at Bahia Mar Fort Lauderdale Beach a Doubletree by Hilton. This event will take place on June 11, 2016. 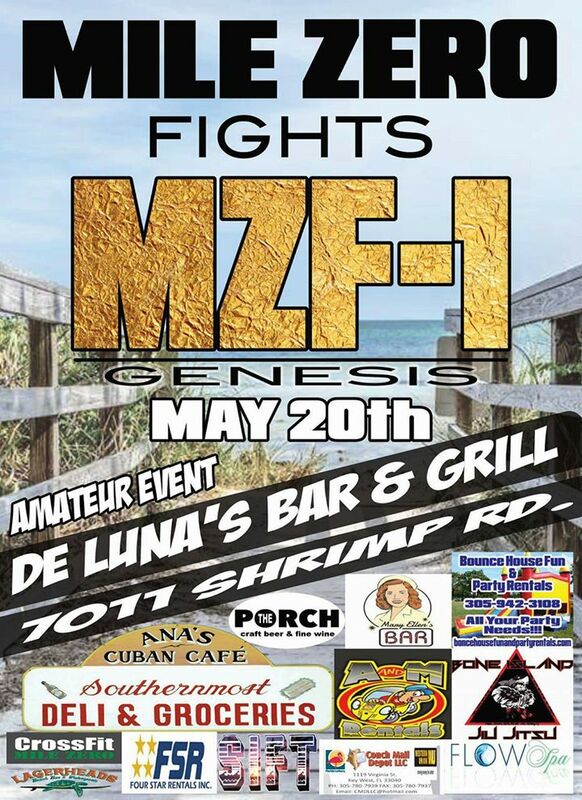 For tickets to this Amateur Mixed Martial Arts Event, please click the link. 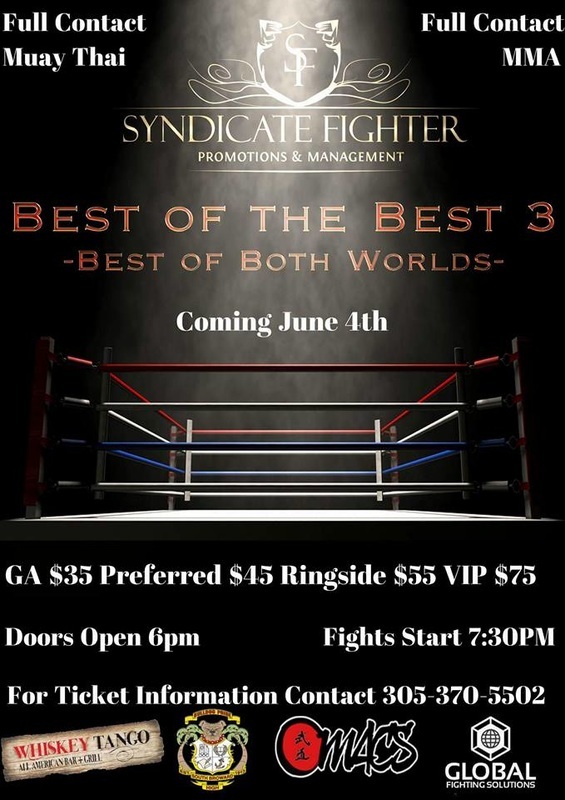 Syndicate Fighter presents Best of the Best 3 which will take place at South Broward High School in Hollywood Florida. 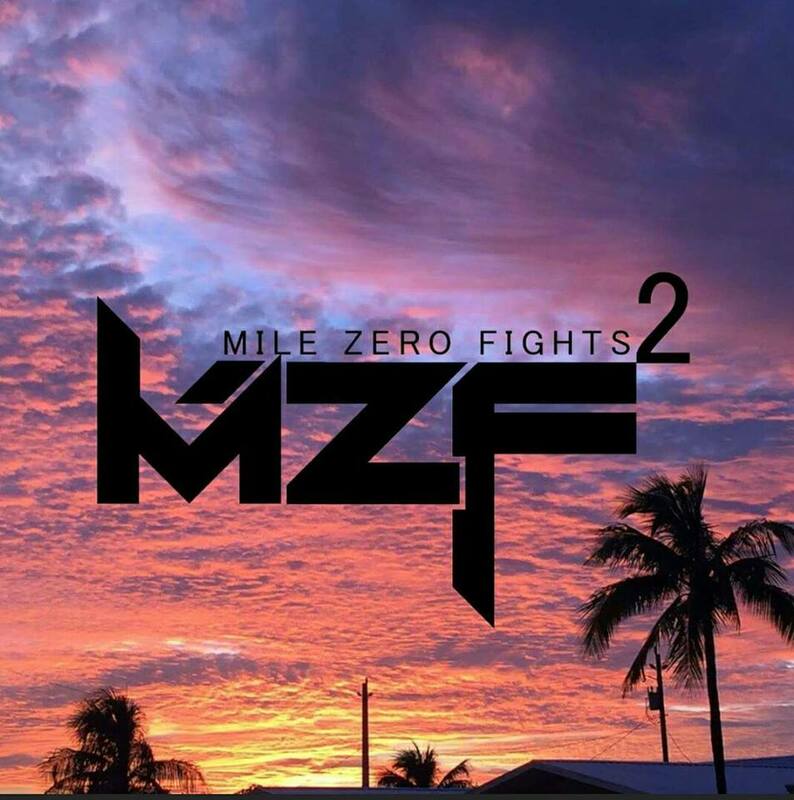 This event will take place on June 4, 2016. 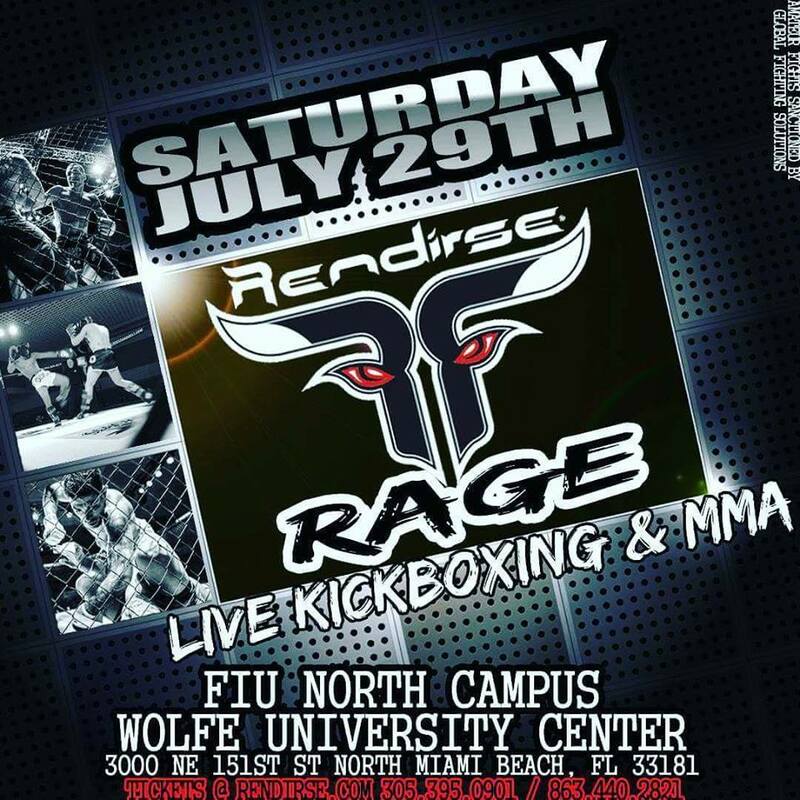 For tickets to this Amateur Mixed Martial Arts Event, please contact us at #305-370-5502.